Well, that’s a lie. But we had to rope you in with something. In all honesty, when you’re on Whole 30, Paleo, or whatever kind of healthy living journey you may be on, finding something refreshing and tasty that will make you forget that glass of wine or summer evening cocktail isn’t easy. But that’s where LaCroix is going to rock your world. LaCroix sparkling water comes in approximately one thousand flavors. It’s bubbly, refreshing, affordable, and had been known to kick the worst cravings for a pina colada. Wait, does anyone else get those? The best news is that it’s totally Whole 30 compliant! Oh, and it’s made in the USA, so it’s kind of the patriotic thing to do. The packaging is super colorful and kind of screams 90s to me, which makes it even more fun. My favorite flavors thus far are coconut and grapefruit. The coconut tastes rich and creamy even though it’s just water. And I’m crazy about anything grapefruity. 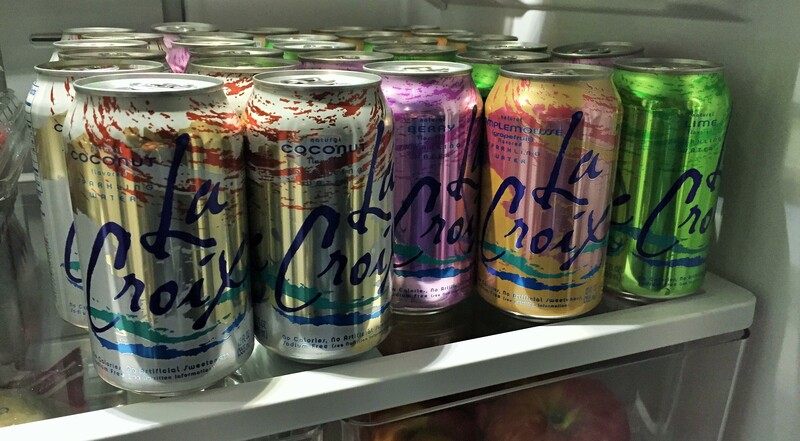 So, if you’re looking for something different to drink that isn’t the hard stuff or fulls of lots of sugar, pick up a case of LaCroix. It’s sold at most chain grocery stores. You can make a mean mocktail or just drink it on it’s own. But, LaCroix also makes a great tastes great in a real cocktail, too…for those of you interested in that kind of thing. Just sayin’. Enjoy! *LaCroix didn’t ask us to write this post. We did it out of the kindness of our own hearts. bb, kp, and I are all currently participating in a “Winter Won’t Win” challenge, which means that we have each committed to walking or running 100 miles in the month of January. That’s an average of 3.23 miles each day. Seems achievable enough until you miss one day and the next day’s goal suddenly becomes 6.45 miles. 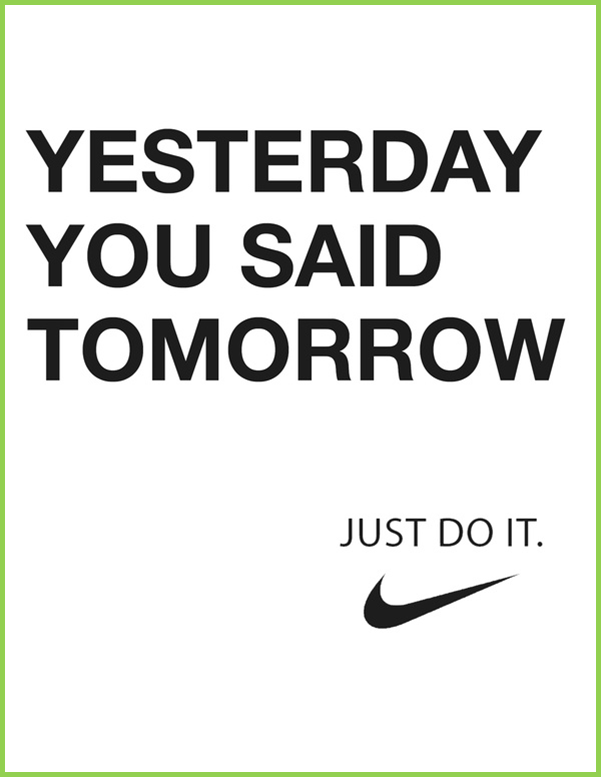 Or god forbid you miss two days and now you’re looking at an almost 10 mile day in order to catch up. One of the keys to this challenge is obviously consistency but getting yourself to the gym in this miserable weather with 5:09 PM sunsets is not easy. So here are a few tips to help you get your tail to the gym this winter. 1. Pack your gym bag the night before. This is a must for me. If my bag isn’t packed and ready to go before I go to sleep, I’m about half as likely to make an appearance on the treadmill the following day. Don’t feel like lugging an entire bag around? Try this neat trick from PureWow. 2. Make gym dates. Being accountable to someone besides yourself not only helps get you into the gym, it also makes workouts considerably more enjoyable. And the right gym partner can push you to push yourself a little harder. Send a Google invite for a Saturday-morning spin class to a friend today. Even better, follow spin with a mimosa. Or three. 3. Get some new swag. Is it time to replace your tired tennis shoes? Still wearing a sports bra that you’ve had since high school? (guilty). Now is the time to upgrade! Having some fresh new pieces to rock at the gym will make the experience more enjoyable and I’m 90% sure that I run faster in anything neon. 4. Upgrade your playlist. Confession: I still listen to “Money Maker” by Ludacris on repeat when I run. That song was released in 2006. 2006! I was still in college. And a much better runner. Regardless, it’s definitely time to upgrade my playlist. My almost-nine-year-old niece recommended Meghan Trainor’s new album, which was right on. It’s upbeat and just the right tempo for my runs jogs. Thanks, Anna! What songs do you have on your playlist? Do you have any other suggestions for staying in a gym routine during these winter months? Go get ’em, tigers. Thanks for the image, PopSugar. Then I met my trainer, Mo. His plan was simple – when I was with him we would do high-impact, strength training that engaged multiple muscle groups at one time, with a constant focus on strengthening my core. When I wasn’t with him, I would do cardio and only cardio. I assumed cardio included the elliptical until Mo spotted me one evening barely breaking a sweat as I watched a Bravo reality television show on my favorite machine. He practically had to drag me to the bank of treadmills filled with runners (#ew) and instructed me to walk for 45 minutes at 3.5 mph at an incline of 15! Are you insane?! Not a chance I could do that (even though I was allowed to hold on). But, guess what? I did. And it wasn’t that bad, especially considering I scorched calories – more than double what I was burning on the elliptical! Now, whenever I’m short on gym time and want a high calorie burn, I walk on an inclined treadmill instead of the elliptical. It’s great for your legs and tush and an easy upgrade to your gym routine. Warm up with dynamic stretching, and a moderately-paced 10 minute jog outside or on the treadmill. It might look easy, but I promise it’s not. 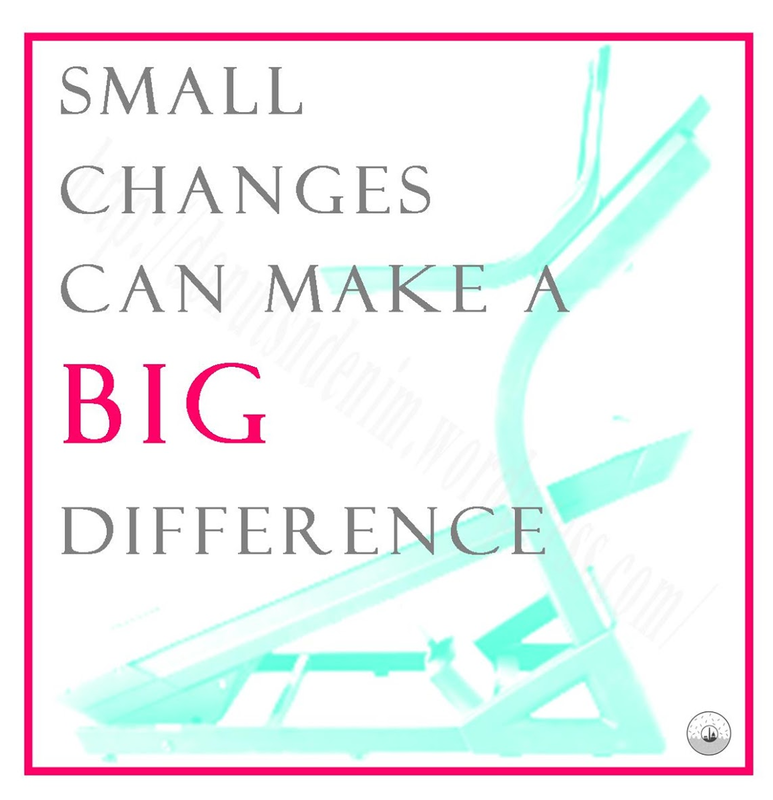 If you don’t have a box jump on hand, you can go outside and find a sturdy ledge or park bench, or sub tuck jumps. If you don’t have a kettlebell on hand, you can use a dumbbell. For instructional videos on box jumps, burpees, kettlebell swings, Russian twists, or planks just follow the links! Normally I would follow this kind of core and cardio workout with an upper body weight circuit (stay tuned for some of those in the future) before stretching, perhaps foam rolling, and then taking a trip to the steam room. Pure bliss. 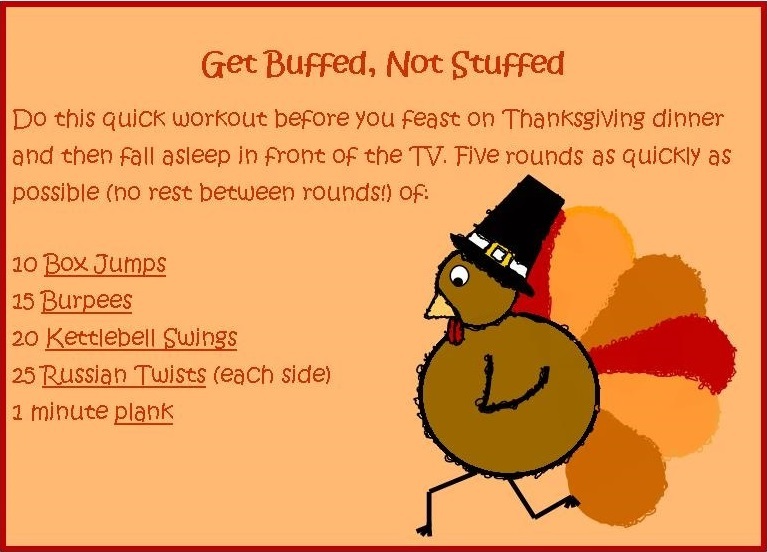 Just in case you needed further motivation to workout, check out this infographic from Daily Burn that details how much work you need to do to burn of your Thanksgiving favorites.